One of the most interesting developments to come along in online-gambling circles in recent months is the announced debut of a crypto-currency site called Breakout Gaming. The soon-to-debut site features a spokesperson lineup of ten well-known “old school” poker pros and offers a handful of gimmicks and twists on its way to what it hopes will be commercial success in both virtual currency and online gaming. 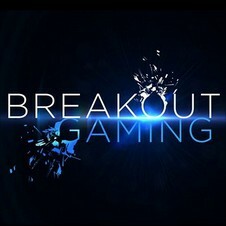 The story of Breakout Gaming is an interesting one — and that’s even before the site and its dedicated crypto-currency, BreakoutCoin (BRO) goes live. Whether or not the site succeeds or fails isn’t close to being known, though it is interesting to examine the splash behind the concept, the people involved in moving forward, and the marketing push on its behalf. Is there a demand for the product that Breakout Gaming plans to offer? That’s going to be the big question. There is demand for some of the component elements of this strange new project, but combined altogether… it’s a trip into uncharted waters. Yet that framing of the story and concept would be useless without attempting to explain the offering in layman’s terms. Breakout Gaming, at its core, is a site that plans to offer several different forms of online gambling using virtual currencies (often called “crypto currencies” or “cryptos,” for short) as the medium of wagering and exchange. By far the most famous of all crypto currencies is Bitcoin (often abbreviated as BTC). The success of Bitcoins has spawned hundreds of imitators, which like the original BTC are “mined,” which means to created by using computers’ computational power to solve mathematical algorithms. Nakamoto chose to make his crypto-creating code open-source software, which means that other developers can — and have — created their own virtual currencies, many with marketing, engineering and programming twists that are designed to distinguish them from Bitcoins, which remain by far the most valuable of the lot. Thousands of these virtual currencies have been created in the six years since Bitcoins debuted. This page at Cryptocoincharts.com tracks over a thousand of them, although as any first-time visitor would note, 90% of the market value of all of them combined (a hair under $5 billion), is due to the value attributed to Bitcoins alone. 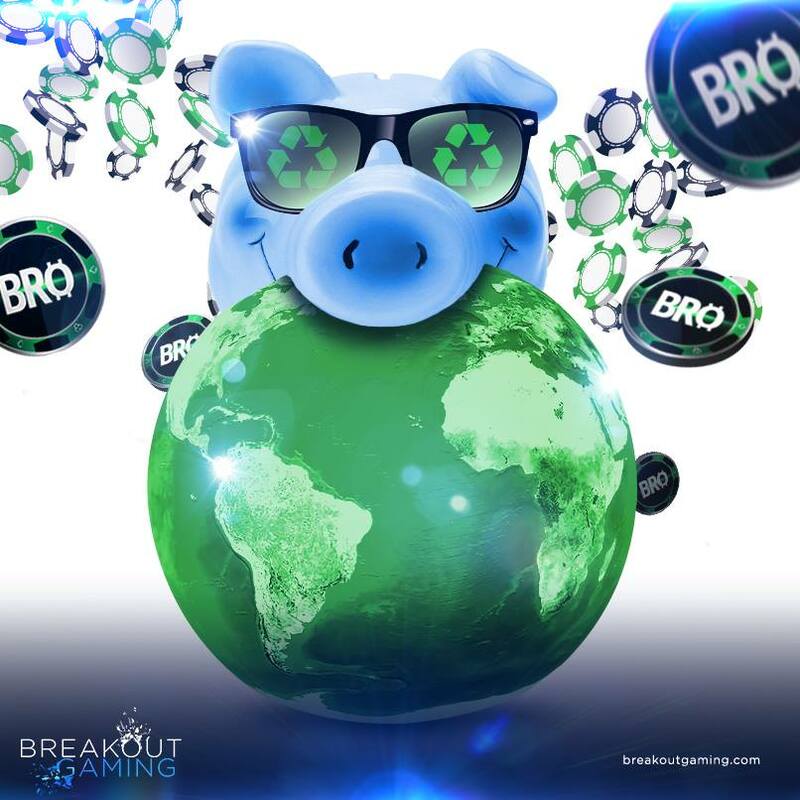 And that all takes us back to this new concept from this startup called Breakout Gaming, which will soon introduce its own private crypto, BRO, to the mix. An in-house, web based, exchange seamlessly converts Bitcoin (BTC) to Breakout Coin (BRO) with a cold storage solution to protect the currency, avoiding the opportunity for hackers to enter the servers. 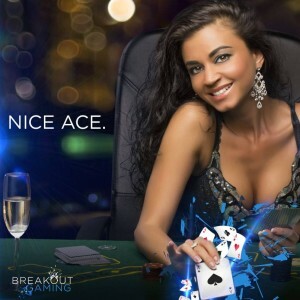 Breakout Gaming’s site will feature 88 different casino games including the popular Texas Hold ‘Em, Open Face Chinese Poker, in addition to a custom built Fantasy Sports betting platform. Breakout Gaming has even signed up a roster of ten high-profile “old school” poker pros to help promote the concept. Anyone familiar with poker will recognize at least some of the names: Johnny Chan, Todd Brunson, Ted Forrest, David Benyamine, Layne Flack, Jeffrey Lisandro, Huckleberry Seed, Toto Leonidas, Vladimir Shchemelev and Jennifer Harman. Whether those pros are “behind Breakout Gamimg” in an investment sense isn’t really known. Domain and corporate registration for the company and the websites associated with it lead to a pair of Las Vegas-based entrepreneurs, Billy Chung and Randy Kim. Kim has described himself as a “player liaison” in posts on crypto-currency discussion boards, while Chung appears to be a crypto enthusiast — and a bit of a gadfly at that — who is one of the driving forces behind the concept. A couple of recent threads at the BitcoinTalk.org discussion forums have served as the most public announcement spot for Breakout Gaming, which will have its ICO (“Initial Coin Offering”) beginning in another two weeks. Through those threads and via some of the information distributed we learn that their are several veteran industry folks involved in this as well, from California gaming attorney David Gzesh to David Hanlon, a veteran gaming exec whose background includes stints at both Trump Plaza and the Caesars-owned Rio in Las Vegas. The marketing power behind the rollout is impressive as well. Here’s a link to a fundraiser-related page for some of the non-poker pros who are behind the site. Somewhere in one of those discussion threads, where several different Breakout people have been pumping the concept, either Kim or Chung asserts that about 50 different people have joined the product’s team since the concept came together in February. Soda & Lime has created dozens of these ads for the new product, many of which can be viewed on Breakout’s Facebook page. Whether one is pro or anti regarding the site and the concept, one has to agree that the advertising is slick as hell. And yet… there are questions, and they are the same sort of questions that dog any new business and marketing concepts. If you build it big and brash and bold, will they come? Field of Dreams was a great movie, but in real life those dreams don’t always come true. 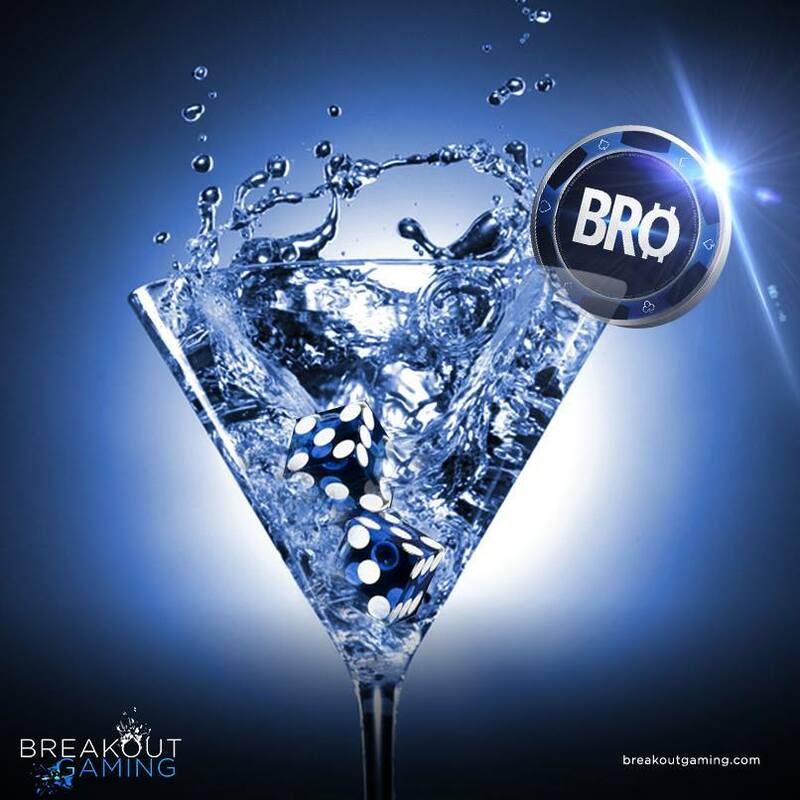 Among the main questions here are the site’s creation of and dedication to this new BRO (BreakoutCoin) medium as the only valuation for gambling on the site. There are, after all, a couple of dozen other Bitcoin-based online gambling sites on the internet, which offer its players the user anonymity that is one of the core selling points behind the development and use of such virtual currencies in the first place. Breakout Gaming’s customers will be able to buy BRO using other virtual currencies using an exchange on the Breakout site. But why not just offer the site’s games using Bitcoins as the gambling medium of exchange? What using BRO will do is place an extra weight on the site to be successful, and require it to sustain a period of long-term growth that it might not be able to do. Other gambling sites using BTC generate their income from rake or from vig on the bets being placed, but at Breakout, a certain percentage of the BRO currency itself is also being withheld as payment for the investors, for promotional purposes (freerolls, etc.) and for a host of other means. BRO will be given away in lots of different ways to help promote the site, and a lot of people involved in the creation of the site, all those design agencies and marketers, will also be looking to cash in their shares at some point in the future. Meanwhile, there’s one way for money to move into the site, and that’s by buying the BRO coins, either through the “ICO” (the crypto world’s version of an IPO) or later, on the secondary market. That’s a lot of downward pressure for a new virtual currency to absorb, with not so much upward pressure being obviously evident to counter it. The fundraising taking place this month via the ICO is vital to Breakout’s chances of success, and if it doesn’t fly high, the lights might not be on for long. Then there’s the availability conundrum. Breakout has already announced that it will only offer certain of its games where it is known to be legal to players in various jurisdictions around the globe. That means, for example, that the site’s poker and casino games will not be available to US-based players. To a certain extent, this goes against the extra-jurisdictional nature of cryptocurrencies themselves, which were idealistically designed to be both anonymous and to be independent of any given country’s currency. Or to put it another way, if you’re in the US, you can play fantasy sports at Breakout Gaming. But since you can legally play fantasy sports at any number of well-established sites that offer instant deposits and withdrawals in US dollars, why would you even want to deal with a crypto currency site that’s nestled two levels deep — fiat to Bitcoins (and other cryptos) to BRO — the currency of the site? The problem with crypto’s inherent appeal to online players who cherish anonymity also works against Breakout’s intent to carve its own market niche, since the site plans to track and record its customers financial dealings with the site. Again, and despite Breakout’s proclamations about how wonderful the whole package will be, it just might be too much for customers to swallow whole. Business trailblazers don’t always make the most money. Then there’s the over-the-top marketing and the old school poker pros. There’s something about this project that has an “Epic Poker League” feel, meaning a high-budget venture that draws plenty of big names and media attention but, at least in the unfortunate EPL example, actually has little chance of success once the concepts involved are exposed. I admittedly have that feel here, just as the lavish graphics and ads remind of the short-lived and hapless Victory Poker, a failed online-poker site that spent tens of thousands of dollars — $25,000 on an artist-designed logo alone! — yet picked horrible network partners and never came close to achieving the critical mass necessary for survivability. And, of course, I could be wrong, equating Breakout to those big-time flops. Time will tell. The poker-pro lineup? Collectively, it’s a head-scratcher. Most of the players are known predominantly within the US, and thus have little value in a country where the players wouldn’t have access to the poker games anyway. Five of the ten can be generously described as international players (Johnny Chan, David Benyamine, Jeffrey Lisandro, Toto Leonidas and Vladimir Shchemelev), but that’s probably offset by the fact that several (but not all) of the ten players have been involved in scandals or failed business ventures that likely reduce their promotional value within the poker world. Chan, for example, has been involved in several failed business ventures over the last decade, from Chan Poker to All-In Energy Drink to the short-lived Johnny Chan poker-dealing school which never got quite started at the University of Buffalo. There are more, but those examples suffice. Therein we learn a lesson about entrepreneurial startups: Most of them fail… for whatever reason. What Breakout Gaming has served up so far is plenty interesting. There are also numerous important questions, which only the future will answer. This is an interesting concept, but whether “interesting” eventually equates to “profitable” is, right now, anyone’s guess.